Behavior Management 101 - I Love ABA! The world of ABA therapy basically has two main areas of focus: Skill Acquisition, and Behavior Reduction. 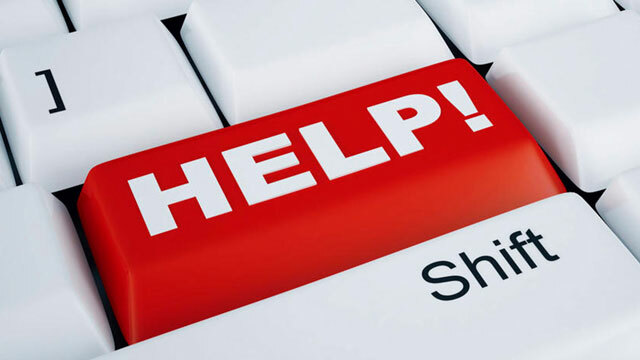 In a nutshell, skill acquisition is about increasing or adding appropriate skills such as attending, task completion, or following instructions. Behavior reduction is about decreasing or extinguishing behaviors that interfere with learning or functioning, such as tantrumming, aggression, or elopement (wandering/running away). Firstly, when beginning ABA therapy I have observed that people often want to just focus on skill acquisition. Parents request that their child learn to use utensils, get toilet trained, or learn to play appropriately with toys. Problem behaviors often are thought of as “we’ll work on that later”, or “there’s nothing that can be done about that”. Allow me to debunk these inaccurate beliefs. It is critical in order to effectively teach skills, that disruptive behaviors are dealt with. It is also critical in order to enter less restrictive learning environments that disruptive behaviors are addressed. I was just telling a consultation client about a week ago, that her son’s behavioral issues will put him in a more restrictive support category than his cognitive level would suggest. In other words, his behaviors would place him in special education when intellectually, he is capable of grade level work. That is how detrimental problem behaviors can be. People often think it is the skill deficits that will lead a child with special needs to be placed in more restrictive settings. I would disagree. What I usually see is that as long as a child with special needs is calm, quiet, and compliant, it’s possible for them to be allowed in almost any setting. It is when the child makes odd noises, is aggressive, runs out of the room, or tantrums, that people quickly want to shuttle them into a more restrictive setting. It’s the behaviors that are likely to limit the child’s options, not their diagnosis/disability. It isn’t uncommon, whether with parents or professionals, that people get plain ol’ freaked out about problem behaviors. When working with new staff, I often (amusingly) notice that when problem behaviors starts the staff will unconsciously start breathing faster, back away from the client, or their eyes will get very wide. This makes sense to me, because as a brand new ABA therapist problem behaviors used to freak me out too. I had no idea what to do if my clients became escalated or angry, so I would do whatever I could to prevent that from happening. Such as, avoid asking demands because I didn’t want my client to be “unhappy”. Giving my client a break from the table when behaviors started, so he/she would “calm down”. Skipping over/not teaching the programs my client seemed to hate, because I didn’t want to deal with his/her tantrums. If you don’t already know, these are HORRIBLE strategies that will lead to an increase in problem behavior. Yet, I see my staff and families do these strategies all the time. 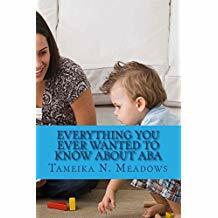 What is so great about ABA therapy, is there are more options to manage behavior than I can even type out in this blog post. You never have to feel hopeless or helpless about managing problem behavior. Isn’t that great news?? So now that you know it is not in your or the child’s best interest to avoid or postpone dealing with problem behavior, and that you have TONS of options to do so, let’s look at some of those options. - During intake/assessment, beyond just determining what skills to teach it is imperative to look at what behaviors to target for decrease. If the client has never received intervention services before, there are likely multiple disruptive behaviors that need to be addressed. It’s best to select the 2-4 highest priority behaviors, because it will be hard on the staff, the family, and the client, to try and tackle everything at once. Quick tip: select the behaviors that interfere with teaching, or are harmful to self or others FIRST. - A Functional Analysis and/or Assessment of the target behaviors must be completed, in order to understand WHY the client is engaging in the behaviors. Do not skip this step. It is really, really important. 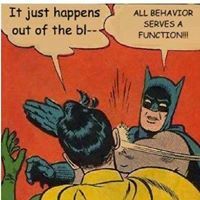 - Once the function of the target behavior(s) has been determined, a Behavior Intervention Plan must be created. The plan should include both preventative and reactive strategies for reducing the target behavior(s), as well as replacement behaviors/skills. For example, if my client pushes peers on the playground when they get too close to him, this tells me my client needs instruction in both social interaction as well as a method to communicate to replace aggression. - Data collection is essential. How will you know if the Behavior Plan is effective if you are not collecting data on the target behavior(s)? Regardless of how super- duper smart you may be, all of us have created Behavior Plans that just weren’t as effective in reducing the target behavior(s) as we thought they would be. It happens. - Be sure to set realistic behavior reduction goals. If the client is tantrumming 5-10 times per day when services begin, it would be ridiculous to set a goal of completely extinguishing tantrumming within 4 weeks. Be realistic. It took time for the client to learn the behavior, it will take time for them to “un-learn” the behavior. Lastly, it is important to understand (and pursue additional training or expertise in) the art of de-escalation. If you are an ABA professional and work with aggressive/severe behavior clients, your employer should provide some type of physical management training to you. De-escalation is a process through which you learn to identify when the client is becoming agitated, and you then begin to change your behavior to bring them back down to their optimal behavioral state. Instead of waiting for full explosion to occur, any step toward fully escalated would prompt a quick reaction. I have seen this method work quickly and effectively to defuse a potentially violent/dangerous situation. Sadly, this technique is the exact opposite of what most parents and professionals naturally do. When a child begins to yell or curse, it seems common sense to go TOWARDS the child or to speak LOUDER to the child, but in a proper de-escalation model those actions are both no-no’s. I also love de-escalation techniques because eventually the client can learn to independently calm themselves down, which should always be the optimal goal. Step 1- Learner is exhibiting known antecedents to problem behavior (yelling, arguing, pacing, etc.). Step 2- Remove attention (stop talking, back away, remove dangerous items, avoid unnecessary touch), and wait for learner to calm. Once learner is calm, probe them with questions to get them to label the problem/issue (“What do you need?” or “How can I help you?”). Provide specific praise if they respond to you, and if possible, provide what they requested. If not possible, explain when they can access what they requested. If learner calms, redirect to original demand. OR….. Step 3- Learner continues to escalate. Step 4- Remove attention (stop talking, back away, remove dangerous items, avoid unnecessary touch), and wait for learner to calm. Once learner is calm, direct them to engage in a distraction task, such as a simple motor imitation task or 2 step instruction. Provide specific praise if they comply. If learner calms, redirect to original demand. OR….. Step 5- Learner is completely escalated. Step 6- Remove attention (stop talking, back away, remove dangerous items, avoid unnecessary touch), and wait for learner to calm. Once learner is calm, direct them to engage in a calming task or activity (squeeze a plush toy, sit on a bean bag chair). Provide specific praise if they comply. Only attempt vocal communication (“How can I help you?”) if it will not agitate the learner. If learner calms, redirect to original demand. If not, repeat step 6 as necessary.